Price is for a 12ft x 12ft square feet dance floor. Please contact us for a custom quote. 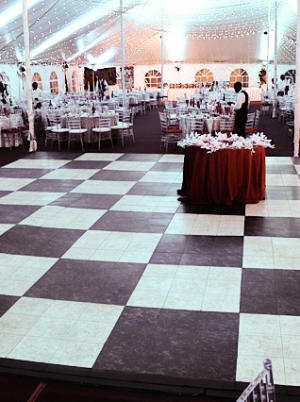 We offer two different types of dance floors for your wedding, quinceanera or other special events: Black, White, Black & White Checkerboard and Natural Wood Floor with 4ft by 4ft blocks. Each block costs $13. Dance floors are subject to availability.